Redknapp looking to shake things up at QPR | The Transfer Tavern | Where football transfer rumours fly or die! Some managers might have watched the match from the stands at Old Trafford on Sunday and thought of ways to get out of their new job, but Harry Redknapp was planning ways to get his adopted QPR side out of trouble. Redknapp has taken over at Loftus Road with the side rock bottom, with just four points from 13 games and are currently win less, but the new gaffer believes he can over turn that form in the toughest test of his life. “We’ve got to do better to give ourselves any chance of getting out of this mess,” he told the Metro. “I need 11 people with ability to put effort in. If they don’t they’re not going to play and i’ll get 11 people who do. I’ve got no time for people who lose the ball and stand their with the hands in the air,” he continued. Mark Hughes’ successor is looking to shake things up and with the money he believes is available to him from chairman Tony Fernandes, will be looking to add players to the already expensive squad in January; but will be hoping to get rid of the players not showing the heart to beat the drop. David Beckham is one of those players who is on the mind of the new gaffer after he leaves LA Galaxy on 1st December. Beckham has already stated he wants a new challenge and this would certainly be one of those. He has had contact with Redknapp over working together last January at Spurs and Redknapp confirms they have been in touch this time as well. Beckham would bring a much needed heart, grit and passion to the club, and Harry would be looking for him to lead from the front with his captain traits and pull them out of the mire. This would only be done on a six month deal, because the former England captain wouldn’t risk being stuck in the Championship next season if disaster does happen, but there will be a lot offers coming Beckham’s way from England, France, and the rest of the world. Michael Dawson is a player that Redknapp will be hoping to be reunited with at Loftus Park. Dawson has only started one league game at White Hart Lane this season and players like the centre back don’t enjoy sitting on the bench receiving their pay cheque. 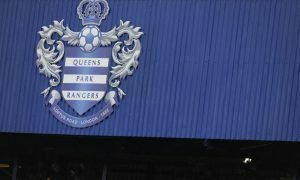 The England international nearly joined QPR in the summer but turned them down, but with the added attraction of his old manager at the helm, he might be persuaded to a loan deal. It’s a deal that will be a must for QPR if they have a chance of survival, conceding 26 goals so far this season, only Southampton conceding more. Christophe Berra could also be someone who Redknapp looks to to sure up the defence. The Scotsman is out of contract at Molinuex at the end of the season, so who could be lined up for a cheap transfer, but Sky Sports understands that Stoke, Swansea and Wigan are interested in the 27 year old. The only problem with this move is that Berra handed in a transfer request to Wolves in the summer and was put on the transfer list, would he be willing to risk dropping back down into the Championship? With the injures that Redknapp has inherited; Bobby Zamora and Andy Johnson both out, the 65 year old will be looking to strengthen his forward line and Darren Bent could be the target. Bent has fallen out of favour at Villa Park after arriving at the club for £18 million, and has hinted he is unhappy at the club. Bent has experience with Redknapp, playing under him at White Hart Lane in Harry’s first season in North London. This would also be on a loan deal if Bent still sees himself as an England player, as he would have to stay in the premier league next season to achieve that, but with Liverpool sniffing around the striker he may go else where. Yoan Gouffran is in a similar position as Berra at his current club Bordeaux, out of contract next summer, and QPR have sent scouts to watch the striker in action. The French club will be looking to sell the player rather than lose him on a free, meaning they might be able to get the 26 year old Frenchman at a discounted rate.